For a creative way to display photos have a gander at the Umbra Fotofalls Desktop. With the 18 branches that reach outwards from the centre, you can create your own beautiful willow shaped table decoration. 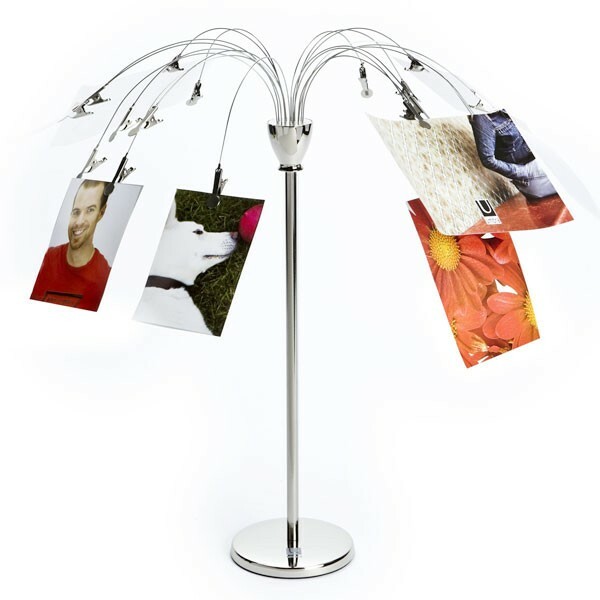 If you’re short on wall space or simply don’t fancy taking a hammer to the paintwork, this photo tree is a fuss free way to showcase your favourite photographs without resorting to a standard photo frame. Each clip on the Umbra Fotofalls can hold a memory, be it a postcard, a ticket or any other number of lovely possessions. Of course, as well as being incredibly eye-catching, this Fotofall by Umbra is also practical. If you’ve got lots of to-do lists, receipts or business cards about, you can trust this funky clip photo holder to keep a hold of them. 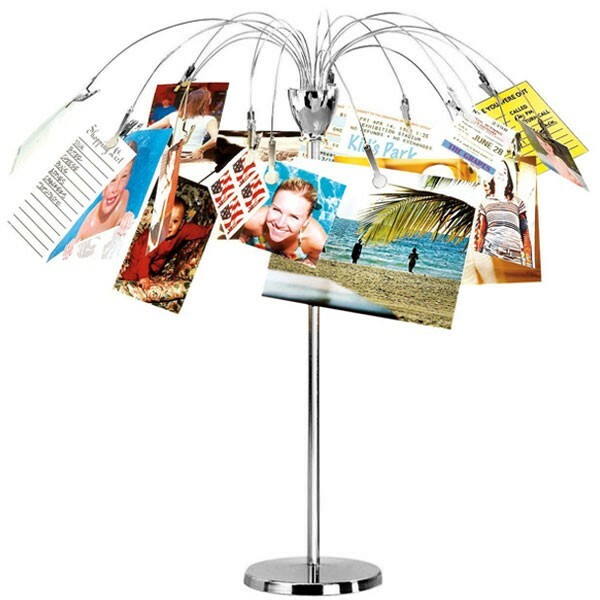 So as well as being a creative gift and an interesting collage photo holder….it also keeps your surfaces free from clutter. Used it to display bags for my daughter's sale. It managed to hold the weight and display beautifully. Very nice, though a bit messy if on my desk.